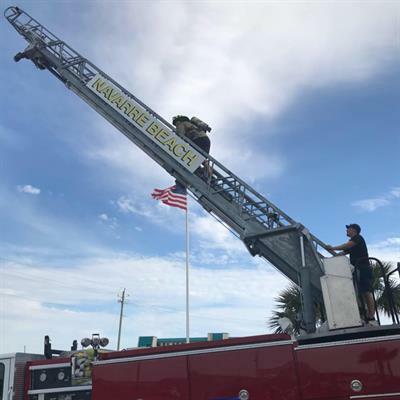 We are blessed with the opportunity once again to team up with Navarre Beach Fire And Rescue to present the 7th Fireman's Challenge & Family Fun Day! There are so many ways to get involved with the fun! For our fitness friends: The firefighters are creating a course to challenge us both mentally and physically. Each course they have created for us has been different and kept us pushing ourselves just past comfortable to see what we are capable of. Men and women are both welcome to this family friendly challenge. We will have 3 heat times: 11am-1pm, 1:30-3:30pm and 4-6pm. Each heat has 15 participant slots and all will be given the chance to compete. It is a $15 donation to compete, and did you catch that? COMPETE! We are keeping score! There will be men's and women's prizes for each heat and an overall winner in each category!!! If the thought of competing like a first responder is a little too far past your comfort zone, there are so many ways you can participate. Please come out and cheer on those competing - they need all the help they can get! 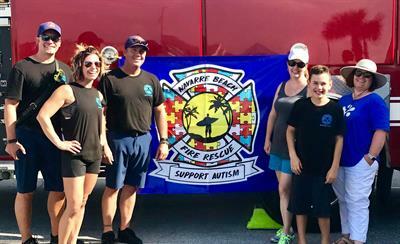 We will also have an opportunity for kids to look at those awesome red fire truck, a kids fitness course, craft tent, sensory stuff, and the opportunity talk to some everyday heroes. There will be food, and a great raffle, with all proceeds benefitting ECEF! To compete in the fireman's challenge is $15. 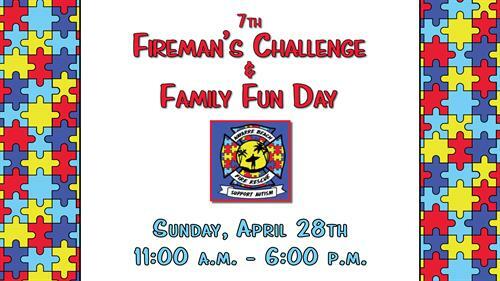 Please register at www.emeraldcoastexceptionalfamilies.org/firemanschallenge. All family activities are free of charge!